You may recall that I recently had a birthday and that Felkerino birthday-cake-bike-commuted with a somewhat messy, yet still savory, outcome. I also embarked on a cake-commuting expedition earlier this year, and was waiting for just the right moment to write about it. I now realize that the right moment would have been one week before my birthday. Nevertheless, I share it with you now in the hope of educating others about successful cake commuting. Yes, it’s cake commuting class. Pay attention! Rule 1. Do not have your birthday or special occasion in the middle of summer, at least not in Washington, D.C. The sweltering heat makes the cake frosting too delicate. Rule 2. If you must have your birthday in the summertime, make sure to live close to a bakery to minimize the effects of the heat on your cake. Rule 3. 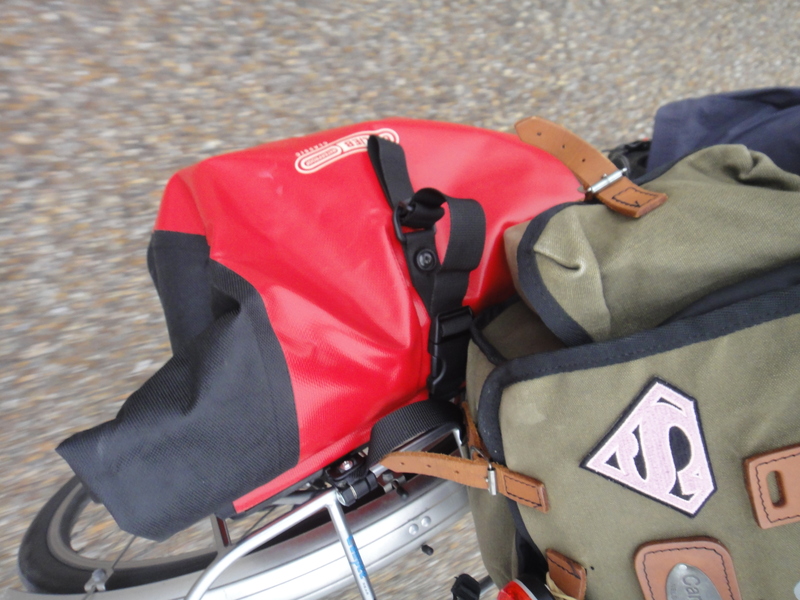 Take a pannier or bag that allows the cake to lay flat. It’s a gravity thing. Also, don’t get greedy. 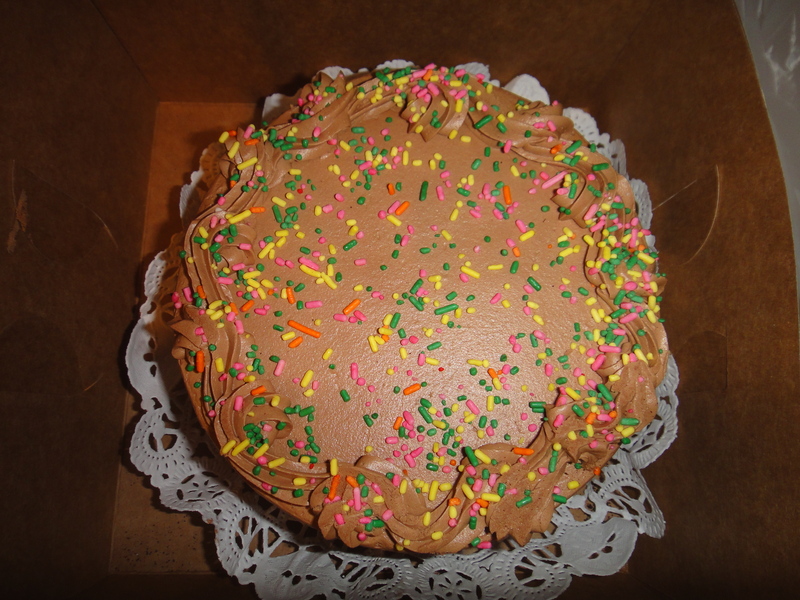 Make sure to order a cake that fits in a box no larger than your carrying device allows. Rule 4. 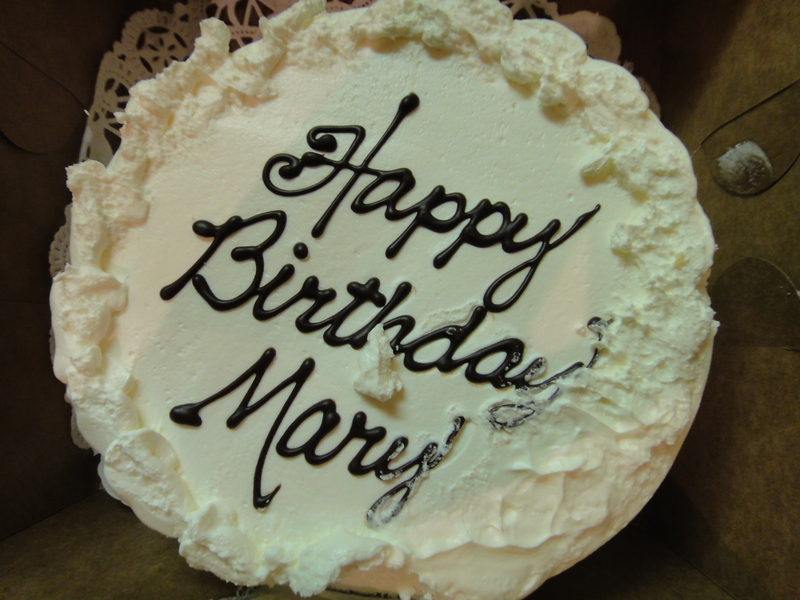 If you have any worry about marring the icing, eliminate the custom message, or add it on yourself when you get home. That way, the icing can get a little messed up in transit, but it won’t be as noticeable. Rule 5. Be kind to your cake. Don’t ride like a maniac or go over lots of railroad tracks or bumps that might send your cake rocking around in its box. Save that for another ride. Rule 6. Don’t sneak a piece before the celebration, thinking that no one will notice. They will notice. During my own cake commute experience (which also featured a scrumptious Furin’s of Georgetown cake), I told the manager that I would be transporting my cake by bike. He informed me not to worry. 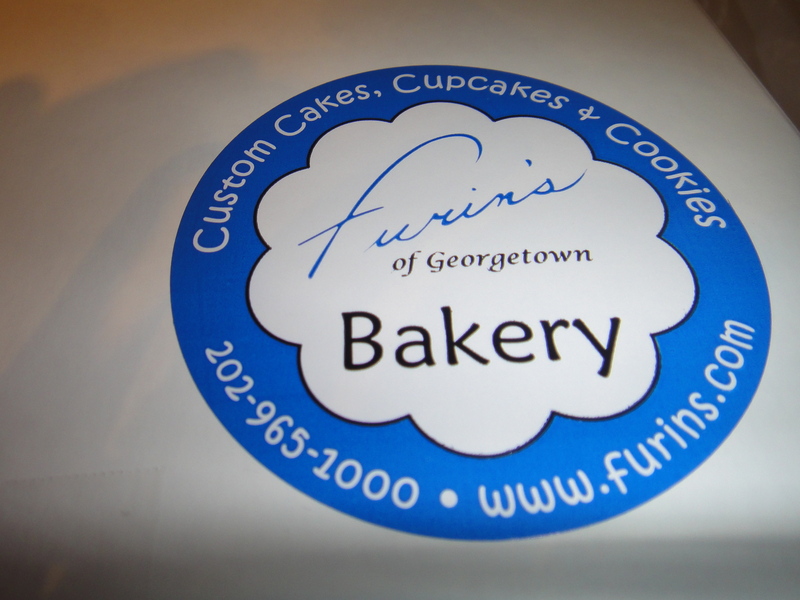 Furin’s bakes the cake, places it on a piece of cardboard, and inserts the cake and cardboard in the box. They tape the cardboard down securely to minimize any movement. That sounded like a bicycle-friendly method to me. I paid for my cake and hit the road. After taking my own cake commute (following all of the above rules), I concluded that my cake looked pretty good. There was a little frosting indentation on the right-hand-corner, but overall not bad. I give myself an A-. And the cake itself deserved an A+. Furin’s chocolate cakes are incredible! Cherry Blossoms. They’re still out there! A much-belated comment to your post (I feel it is appropriate since we are now FB friends (yay!)) – I’m delighted you like my favorite little Georgetown spot! Furin’s is delicious! Thank you, my friend! You made my life better the day you introduced me to the goodness that is Furin’s!! !